For other people named John Leech, see John Leech (disambiguation). John Leech (29 August 1817 – 29 October 1864 in London) was an English caricaturist and illustrator. He is best known for his work for Punch, a humorous magazine for a broad middle-class audience, combining verbal and graphic political satire with light social comedy. Leech catered to contemporary prejudices, such as anti-Americanism and anti-Semitism and supported acceptable social reforms. Leech's critical yet humorous cartoons on the Crimean War help shape public attitudes toward heroism, warfare, and Britons role in the world. 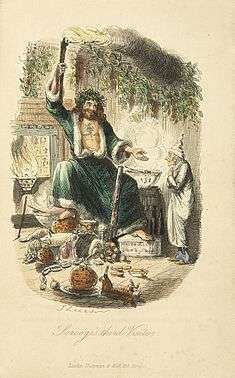 Among such of his designs are four charming plates to Charles Dickens's A Christmas Carol (1843), the broadly humorous etchings in the Comic History of England (1847–1848), and the still finer illustrations to the Comic History of Rome (1852) —which last, particularly in its minor woodcuts, shows some exquisitely graceful touches, as witness the fair faces that rise from the surging water in Cloelia and her Companions Escaping from the Etruscan Camp. Among the other etchings which deserve very special reference are those in Young Master Troublesome or Master Jacky's Holidays, and the frontispiece to Hints on Life, or How to Rise in Society (1845)—a series of minute subjects linked gracefully together by coils of smoke, illustrating the various ranks and conditions of men, one of them—the doctor by his patient's bedside—almost equalling in vivacity and precision the best of Cruikshank's similar scenes. Then in the 1850s come the numerous etchings of sporting scenes, contributed, together with woodcuts, to the Handley Cross novels by Robert Smith Surtees. 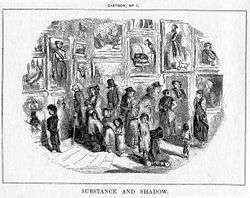 Turning to Leech's lithographic work, we have, in 1841, the Portraits of the Children of the Mobility, an important series dealing with the humorous and pathetic aspects of London street "Arabs", which were afterwards so often and so effectively to employ the artist's pencil. Amid all the squalor which they depict, they are full of individual beauties in the delicate or touching expression of a face, in the graceful turn of a limb. The book is scarce in its original form, but in 1875 two reproductions of the outline sketches for the designs were published—a lithographic issue of the whole series, and a finer photographic transcript of six of the subjects, which is more valuable than even the finished illustrations of 1841, in which the added light and shade is frequently spotty and ineffective, arid the lining itself has not the freedom which we find in some of Leech's other lithographs, notably in the Fly Leaves, published at the Punch office, and in the inimitable subject of the nuptial couch of the Caudles, which also appeared, in woodcut form, as a political cartoon, with Mrs Caudle, personated by Brougham, disturbing by untimely loquacity the slumbers of the lord chancellor, whose haggard cheek rests on the woolsack for pillow. It was in work for the wood-engravers that Leech was most prolific and individual. 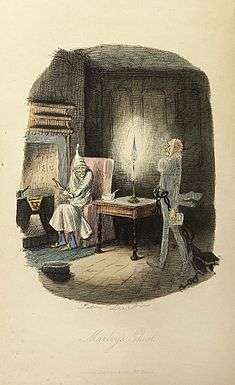 Among the earlier of such designs are the illustrations to the Comic English and Latin Grammars (1840), to Written Caricatures (1841), to Hood's Comic Annual, (1842), and to Albert Smith's Wassail Bowl (1843), subjects mainly of a small vignette size, transcribed with the best skill of such woodcutters as Orrin Smith, and not, like the larger and later Punch illustrations, cut at speed by several engravers working at once on the subdivided block. It was in 1841 that Leech's connection with Punch began, a connexion which subsisted until his death, and resulted in the production of the best-known and most admirable of his designs. His first contribution appeared in the issue of 7 August, a full-page illustration—entitled Foreign Affairs of character studies from the neighbourhood of Leicester Square. His cartoons deal at first mainly with social subjects, and are rough and imperfect in execution, but gradually their method gains in power and their subjects become more distinctly political, and by 1849 the artist is strong enough to produce the splendidly humorous national personification which appears in Disraeli Measuring the British Lion. About 1845 we have the first of that long series of half-page and quarter-page pictures of life and manners, executed with a hand as gentle as it was skilful, containing, as Ruskin has said, "admittedly the finest definition and natural history of the classes of our society, the kindest and subtlest analysis of its foibles, the tenderest flattery of its pretty and well-bred ways", which has yet appeared. In addition to his work for the weekly issue of Punch, Leech contributed largely to the Punch almanacks and pocket-books, from Once a Week between 1859 and 1862, to the Illustrated London News, where some of his largest and best sporting scenes appeared, and to innumerable novels and miscellaneous volumes besides, of which it is only necessary to specify A Little Tour in Ireland (1859). This last piece is noticeable as showing the artist's treatment of pure landscape, though it also contains some of his daintiest figurepieces, like that of the wind-blown girl, standing on the summit of a pedestal, with the swifts darting around her and the breadth of sea beyond. In 1862 Leech appealed to the public with a very successful exhibition of some of the most remarkable of his Punch drawings. These were enlarged by a mechanical process, and coloured in oils by the artist himself, with the assistance and under the direction of his friend John Everett Millais. Millais had earlier painted a portrait of a child reading Leech's comic book Mr Briggs' Sporting Tour. 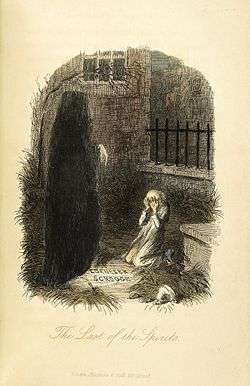 The earnestness and gravity of moral purpose which is so constant a note in the work of Hogarth is indeed far less characteristic of Leech, but there are touches of pathos and of tragedy in such of the Punch designs as the Poor Man's Friend (1845), and General Février turned Traitor (1855), and in The Queen of the Arena in the first volume of Once a Week, which are sufficient to prove that more solemn powers, for which his daily work afforded no scope, lay dormant in their artist. The purity and manliness of Leech's own character are impressed on his art. We find in it little of the exaggeration and grotesqueness, and none of the fierce political enthusiasm, of which the designs of James Gillray are so full. Compared with that of his great contemporary, George Cruikshank, his work is restricted both in compass of subject and in artistic dexterity. 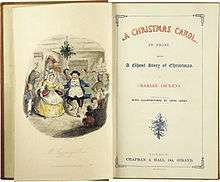 First page of first edition of A Christmas Carol by Charles Dickens. Romulus and Remus discovered by a gentle Shepherd. Hannibal swears eternal hatred to the Romans as a child. The Battle of Bosworth Field, a Scene in the Great Drama of History, illustrated by John Leech for Gilbert Abbott à Beckett, mocking the Victorian attitude towards history. ↑ Ray, Gordon N. (1991). "John Leech (1817 – 1864)". The illustrator and the book in England from 1790 to 1914. Dover. p. 82. ↑ Henry J. Miller, "John Leech and the Shaping of the Victorian Cartoon: The Context of Respectability," Victorian Periodicals Review (2009) 42#3 pp 267-291. ↑ "Posner Memorial Collection in Electronic Format". cmu.edu. Miller, Henry J. "John Leech and the Shaping of the Victorian Cartoon: The Context of Respectability," Victorian Periodicals Review (2009) 42#3 pp 267–291. Chisholm, Hugh, ed. (1911). "Leech, John". Encyclopædia Britannica (11th ed.). Cambridge University Press.